Is there no stopping Gulfstream? 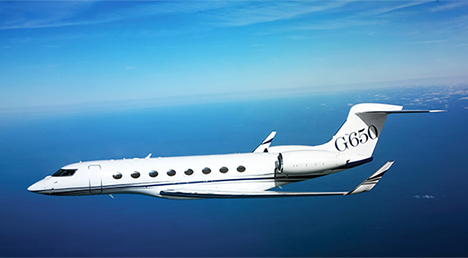 Gulfstream's flagship aircraft the G650ER broke two city pair records this month, and flew around the world with just one fuel stop. The company also had a great year overall in 2014, with strong growth in new aircraft deliveries. Gulfstream are experts in combining popularity with cutting edge development, but find out who is challenging Gulfstream's position of power. From film locations to unique FBO designs, here's our top 10 discoveries on a recent tour of LA's unique private jet airport. New business jet deliveries grew 7% worldwide in 2014. Find out which aircraft are in demand, and why. Private jet flights will be moving to Dubai's new airport, 40km further from the city. But closer doesn't always mean faster - here's why.